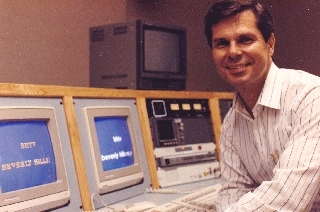 "Out & About with Roger Martin" began in the Spring of 1991 at a community television station called BHTV, known as Beverly Hills Television. 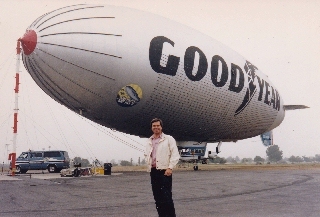 It was open for public use and attracted an eclectic group of volunteers who kept the programing interesting and engaging right up until the moment the station was shut down in February of 1995 due to lack of funding. In the brief five year period of its existence BHTV presented public affairs programs featuring local city politicians and dignitaries, as well as entertainment programs and talk shows. 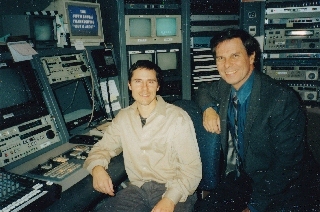 When BHTV staff member Roger Martin approached friend and volunteer Jim Lichnerowicz on the idea of creating a program, they collaborated on an idea based on the TV newsmagazine format which would allow them to explore subjects outside the confines of the studio environment. Using a hand held camera and tripod, the two were able to explore well beyond BHTV's studio constraints to cover stories featuring museums, zoos, sporting events and travel adventures that took them to Canada, Nevada, Utah, New Mexicio and Arizona. Originally they thought of calling the series "Out & About in Beverly Hills" but soon realized that there would be a lot more to cover in the Southern California area, so they settled upon the more expansive title "Out & About with Roger Martin". A typical episode took the two to a location like an animal rescue facility and after spending the day interviewing the proprietors and shooting "B-Roll" there was enough video footage to create the short ten to fifteen minute segments that were combined to make a half hour show. In the five year period of BHTV's existence, the pair produced eighty half hour episodes and were proud to feature "Out & About with Roger Martin" with the distinct slate of programming featured on the Beverly Hill station. Twenty six years later, the series continues on in its never-ending pursuit of interesting and unusual subjects and activities. As the years flew by, the technology changed. The O&A staff started at shooting on Super VHS format, which was edited and distributed on 3/4" tape, then switched over to the digital DVCam format, which was eventually and currently edited on a digital computer program. Though slow in adapting to the evolving technology, they continuted to keep their focus on the quality of the programs, covering a myriad of subjects which reflected the diversity of Southern California living. With digital tape and high speed uploading systems the two were able to share the series wth Public, Educational and Government stations across the country. Sending the program to foreign countries like New Zealand and the United Kingdom, helped to expand "Out & About's" global reach. 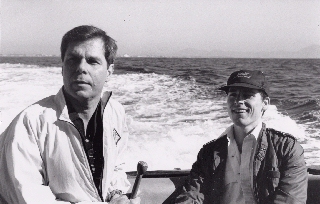 After more than a quarter of a century, host Roger Martin and producer Jim Lichnerowicz continue to search for subjects that they feel will entertain and educate viewers with thought-provoking and engaging stories. The closing statement that wrapped up all of their early episodes sums it up nicely: "On 'Out & About' we encourage you to go 'Out & About' to experience the many pleasures and diversities of Southern California and the Southwest."